Our pricing is live and and our sell price includes free shipping and insurance on orders of $1000 or more. For your convenience you can mix products to arrive at that total. There are no hidden fees – surprises or add on charges – our pricing model is the most transparent in this industry and will save you time and money. 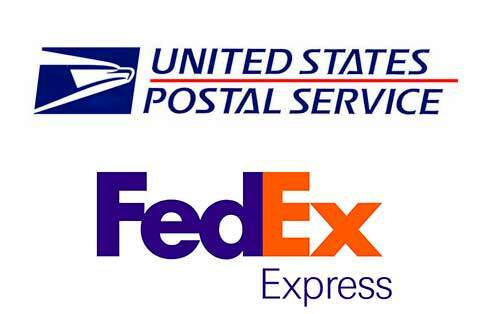 At the time of your order you are given a choice of either FedEx or USPS insured delivery. After your order is placed you will receive an email which contains your confirmation number, products purchased, prices paid and a total for each transaction. Your order is discreetly packaged by professionals and shipped promptly with automatic email notification. We also provide automated tracking numbers and links so you are kept up to date during delivery. No computer? No problem – call us toll free and we will track your package in minutes. If your invoice is less than $1000 the cost of shipping, insurance and professional tracking is $10.00. For 37 years we have safely delivered to all 50 states – and are proud of our A+ Better Business Bureau rating. As always – we guarantee your complete satisfaction and are responsible for your purchase until you sign for the package. You are a valued customer and we would like to thank you for your business! For additional questions please call toll free Monday – Friday 9 AM to 5:00 PM PST or email info@golddealer.com anytime for a quick answer.